We all want our children to grow into responsible, competent adults. But how do parents accomplish that? Being responsible is much more than a skill—it’s an attitude. It’s up to parents to instill that willing, winning mindset, while showing their kids what responsibility entails. This is really about more than doing a few chores. It’s about kids taking charge and making a contribution to the family. The great thing is, when a child starts handling responsibilities—however small—it also boosts independence and self-esteem. Show your child that his opinion matters. Give him choices: what shirt to wear, what to pack for lunch. When kids feel they have a voice in family matters, they’re more likely to feel that their contribution counts. Don’t wait on your child; encourage her to do some things for herself. 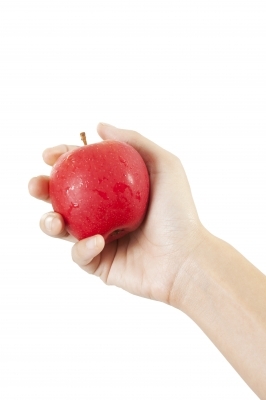 For example, next time your child asks for an apple, show her where you keep them and how to wash one off. 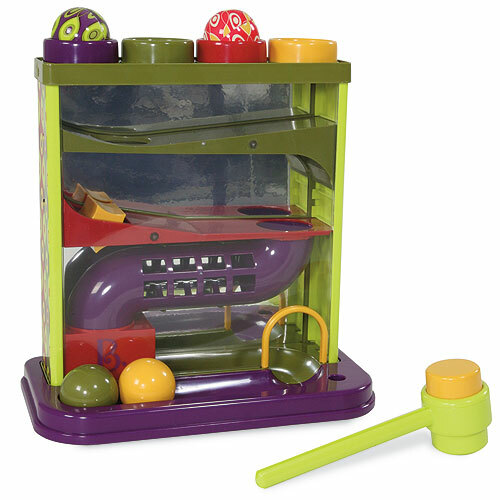 Gear responsibilities to your child’s skill levels, and always demonstrate how to do a task. Don’t take for granted that your child already knows. Doing a chore together at first makes it easier and more fun. If your child wants to help with a task—such as setting the table or washing the car—let her pitch in, even if it takes you longer. It will show your child that you value her efforts. Instead of assigning certain chores, ask your child for his ideas. He will be more willing to complete his tasks if he’s the one who assigned them! Use praise, not criticism, and avoid nagging. If your child fails to complete her chores, let her experience the consequences. For example, if she doesn’t put her clothes in the hamper, her favorite shirt won’t get washed for tomorrow. Even young children can take responsibility for their “stuff.” To encourage your child to put his toys away, surround him with kid-friendly organizers that are safe and accessible to small fry. Caring for a family pet—such as brushing the dog or feeding the cat—is an excellent responsibility builder that teaches children to look after others. Give your child an allowance, and allow him to make his own spending decisions. When kids feel empowered, it encourages a can-do attitude. Hang up a responsibility chart to track your child’s progress. This not only reminds kids of their duties, but creates a sense of accomplishment. Working towards a small reward is also an excellent motivator. Engage in family projects and give each family member a specific role. If you’re digging a vegetable garden, your child can be in charge of planting the seeds. Encourage your child to solve his own problems. Instead of offering him a quick solution, ask him questions that prompt him to think on his own. Finally, show your child that you believe in her—even when she stumbles. Nothing is more powerful than your confidence and encouragement. Keep the faith, and your child will rise to meet your expectations. 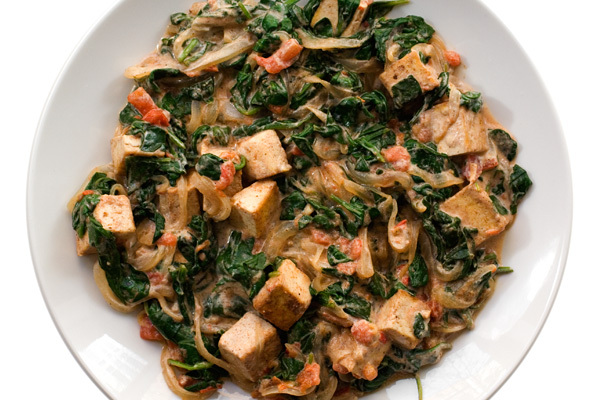 Saag Paneer is one of “Mom’s” favorite Indian dishes, and this version from CHOW.com incorporates tofu as an alternative to meats that can be used in this delicately spiced dish, such as lamb. Combine tofu with 1 tablespoon of the vegetable oil, 2 teaspoons of the garam masala, and the salt. Mix gently to coat tofu; set aside. Heat a large (12-inch) frying pan over medium-high heat and add 1 tablespoon of the oil. When it shimmers, add tofu in a single layer and cook until browned, about 5 minutes. Transfer to a plate. Wipe out the pan, return it to the stovetop over medium heat, and add remaining 1 tablespoon oil. When it shimmers, add garlic and onion and cook, stirring occasionally, until onion is tender and browned, about 3 minutes. Stir in tomatoes and ginger and cook until tomatoes just start to soften, about 2 minutes. Add spinach in handfuls and stir frequently, scraping the bottom of the pan to incorporate any browned bits. Cook until spinach is very wilted and liquid is cooked off, about 7 minutes. Stir in reserved tofu and cook until heated through, about 1 minute. Remove from heat. In a medium bowl, stir together remaining garam masala and yogurt and add to spinach mixture. Stir until well mixed and serve. This simple tomato soup from Chef Michael Bulkowski of Findlay, Ohio’s Revolver restaurant is flavored with cinnamon and is a favorite of his vegetarian daughter. 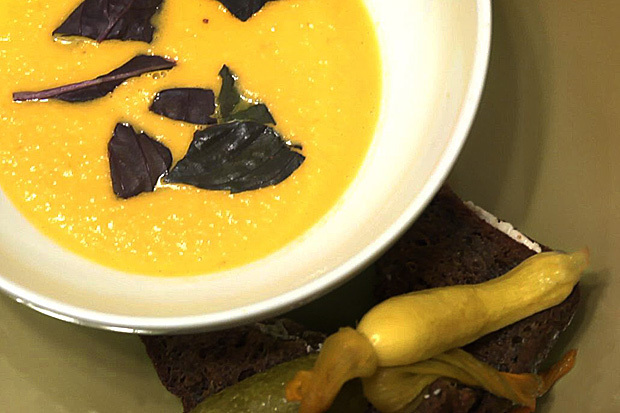 He serves it with quick-pickled baby squash and a zucchini-bread grilled cheese sandwich. For the pickles: Place the allspice, fennel, and peppercorns in a medium saucepan over medium heat and toast, shaking the pan occasionally, until fragrant, about 3 minutes. Add the squash, vinegar, sugar, and salt and bring to a boil, stirring until the sugar and salt have dissolved. Using tongs, transfer the squash to a clean 1-quart jar with a tightfitting lid and top with the pickling liquid. Let come to room temperature, seal, and refrigerate until ready to use. The pickles can be stored in the refrigerator for up to 1 month. For the soup: Heat the oil in a medium saucepan over medium heat until shimmering. Add the onions and garlic and cook, stirring occasionally, until softened, about 3 to 5 minutes. Add the tomatoes and cinnamon sticks and bring to a boil. Reduce the heat to low and simmer until the tomatoes fall apart, about 20 minutes. Remove and discard the cinnamon sticks. Using a blender, purée the soup in batches until smooth, removing the small cap from the blender lid (the pour lid) and covering the space with a kitchen towel (this allows steam to escape and prevents the blender lid from popping off). Pour the soup into a clean saucepan. Taste and season with salt as needed. Keep warm. For the sandwich: Heat the oven to 300°F and arrange a rack in the middle. Place 2 slices of the bread on a work surface. Evenly spread half of the cheese on one slice and half on the other. Season with salt and top with the remaining 2 slices of bread to make 2 sandwiches. Heat the oil in a large, nonstick, oven-safe frying pan over medium-low heat until shimmering. Tilt the pan slightly so that the oil coats the bottom. Add the sandwiches and cook until the bottoms are golden brown, about 3 to 5 minutes. Flip and cook until the other sides are golden brown, about 3 to 5 minutes more. Place the pan in the oven and bake until the cheese has completely melted, about 8 to 10 minutes. Transfer the sandwiches to serving plates. To serve: Ladle the warm soup into bowls, tear the basil leaves, and sprinkle them on top of the soup. Serve with the sandwiches and the pickles on the side. 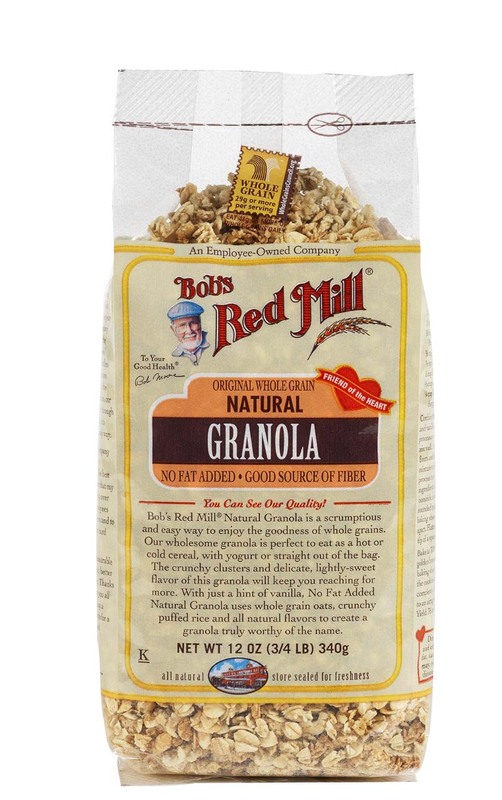 For breakfast or in-between as a go-to healthy snack, Bob’s Red Mill Whole Grain Granolas are shaking things up in “Mom’s” kitchen! New flavors to tantalize your taste buds or just dress up your morning are available as the kiddos head back-to-school, including Apple Blueberry Granola, Apple Strawberry Granola and Crunchy Coconut Granola. Pack a small container with granola into your child’s lunch to top their organic yogurt as a wholesome treat! The new granolas are packing a powerful punch – providing more than 27 grams of whole grains, 3 grams of fiber and 5 grams of protein per serving! 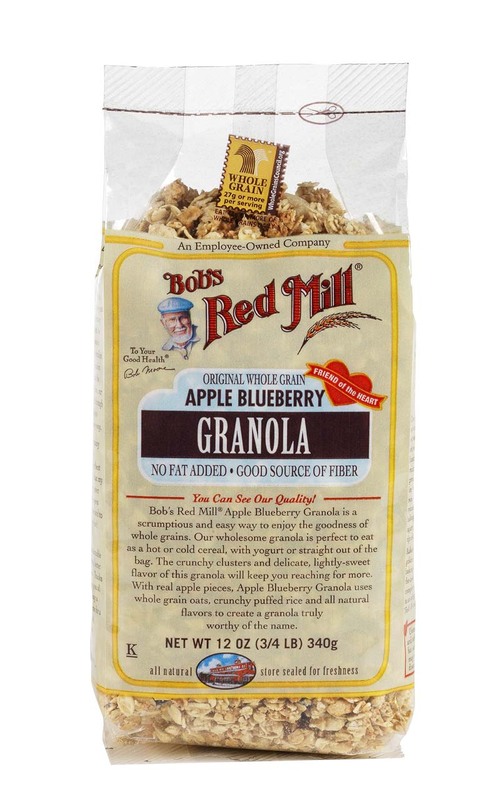 In addition, Bob’s Red Mill sweetens their granolas with all-natural sweeteners such as honey, pure vanilla, brown sugar and molasses. Enjoy the new granolas with almond milk or soy milk for breakfast or straight out of the bag for an afternoon pick-me-up! The granolas pack well for hiking and camping, too! Get the kids cooking in the kitchen with you after school with this yummy and nutritious snack featuring Bob’s Red Mill Natural Granola – Granola Trail Mix Cookies! Take butter out of the refrigerator and allow to soften. Preheat oven to 350°F. Dissolve the baking soda in the warm water. In a bowl, cream the softened butter with the sugars. Beat in the egg, baking soda mixture, flour and vanilla. Stir in the granola, coconut, chocolate chips and raisins. Drop rounded teaspoons of the dough about 4-inch apart onto a greased cookie sheet. With a fork, flatten and spread each mound into a round (about 3″ in diameter). Bake cookies for 7 minutes or until golden brown. 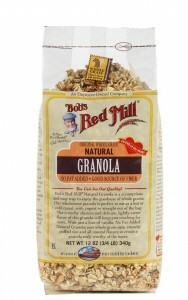 To view more recipes using Bob’s Red Mill Granolas, or their other all-natural products, visit www.bobsredmill.com. A delicious dessert is the perfect ending to a wonderful meal. But for adults and children who are lactose intolerant, foods laden with milk, heavy creams and cheese may not be an option. If you have been seeking a yummy treat to serve someone who can’t eat dairy, try some vegan options certain to satisfy any sweet tooth. Smooth, sweet and creamy, here’s an ice cream that doesn’t contain an ounce of dairy. Created by “Raw” author Lynelle Scott-Aiken, this dessert requires minimal effort, however you will need to freeze your bananas several hours in advance. It’s often so enjoyable you may want to keep them stocked in your freezer if you are looking for a fast dessert that’s easy to prepare. This dessert also gives you a way to preserve overripe bananas for later use. Serves 4 people. Peel the bananas cut into chunks. Place in a zip-lock bag and freeze. Thirty minutes prior to preparing your dessert remove from the freezer and allow to slightly thaw. Take all of your ingredients and add to a food processor or blender. Pulse until you get your desired consistency. Pulse slightly if you prefer the consistency of hard ice cream or more thoroughly if you enjoy a soft serve or custard texture. Add sprinkles, crushed cookies, nuts, dark chocolate sauce or any other favorite topping. Vegan cheesecake is a tempting dairy-free alternative that’s certain to please the fussiest of palates. Made with vegan cream cheese, it’s sure to be a hit with family and friends. Serves 4. Preheat the oven to 375 F. Make your crust by combining the graham crackers, margarine, Karo syrup, and flour in a bowl. Mix and press firmly into a round metal baking pan. Make your filling by combining the vegan cream cheese, sugar, egg substitute, vanilla, and lemon juice in a food processor or blender and pulse until creamy and smooth. Pour into your crust. Bake for 25-30 minutes, until your cake sets. Remove from the oven and let cool. 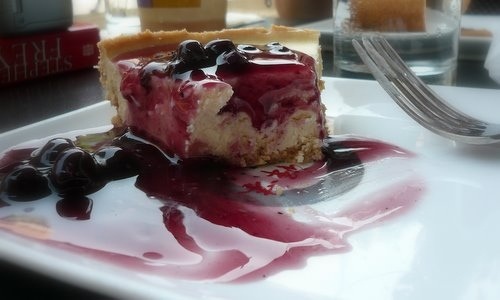 Place the “cheesecake” in your refrigerator and chill overnight. Top with vegan chocolate syrup, fresh berries or jam. 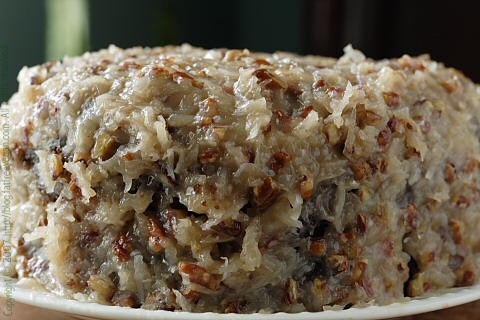 Vegan German chocolate cake is a decadent dessert that derives its unique flavor from a mix of chocolate, coconut and pecans. From the “Dining with Friends” cookbook distributed by the charity Friends of Animals, below is a recipe simple enough for anyone to recreate in their kitchen. To Make the Cake: Preheat oven to 350F. Mix the flour, cocoa, baking soda, sugar and salt together. Sift or mix thoroughly with a fork to ensure all ingredients are evenly distributed. In a separate bowl mix the water, oil, lemon juice and vanilla extract. Pour the wet ingredients into the dry and whisk thoroughly until the batter is smooth. Grease and lightly flour either two 9 –inch round cake pans or one 9x13x2 cake pan. Pour batter into the pans and bake for 25-30 minutes. Poke with a toothpick. If toothpick comes out clean, the cake is fully baked. To Make the Frosting: Place the soymilk, margarine and coconut extract, egg replacer and water in a sauce pan and mix. Cook over low heat, stirring frequently until thickened. Remove from heat and add coconut and pecans. Allow to cool until spreadable. Let the aroma of baked apples waft through your home as you prepare the easy and tasty treat. This apple crisp is a warm and inviting dessert that’s perfect to serve during cooler months. Preheat the oven to 375F. Mix together all filling ingredients except the apples. Place the apples in a metal bread loaf pan and then pour the other ingredients on top. Using a separate bowl, mix all of the ingredients for the crisp. Sprinkle this mixture over the apple filling, cover with aluminum foil and bake for 10 minutes. Remove foil, bake for an additional 30 minutes and serve alone or with vegan ice cream. A “vegan for life,” Sonia Banfield teaches nursing courses and is a content contributor for education sites. Today, nursing jobs are highly sought after by women thrown back into the work force by a down economy. Sonia feels that give back careers such as medical assistant jobs and nurse jobs are even more important during tough times. Photo credits: Vegan Berry Cheesecake by Elaine Vigneault/flickr; Vegan German Chocolate Cake by SusanV, the Fatfree Vegan Kitchen. This year, send your brood off to school in planet-friendly clothing that is heavy on style yet light on Mother Earth. Wearing the following hip, fashionable items, your little ones will be ready to hit the halls in eco-style this Fall. Check out these modern, trendy caps and hats for sparking creativity and letting your child express his or her own unique style! Nobis incorporates recycled materials into each design in the Kids’ Mini Collection for the eco-conscious and fashion-forward boy or girl. 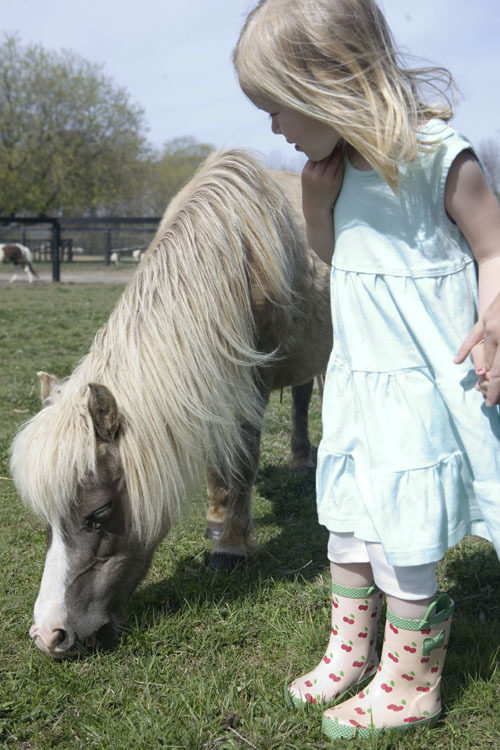 We think the Lil’ Rachel (pictured) or Lil’ Diego will be simply adorable on your little guy or gal! Send your little sweetpea off to school in a comfortable and oh-so-soft Organic Tiered Aqua Dress from Garden Kids. Paired with the Lavender/Natural Striped Shrug, it can be worn as we transition from Summer to Fall with ease, adding a layer if necessary on a cooler morning. No buttons or zippers of any kind, Garden Kids knows what both kids and moms want – comfort, blended with easy on, easy off style! 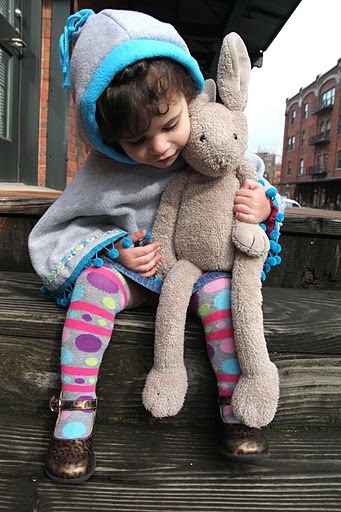 Garden Kids’ is known for their organic clothing for children, and what makes their items so fabulous is that they are made with 100% organic cotton fabrics that are untreated and made in the USA. 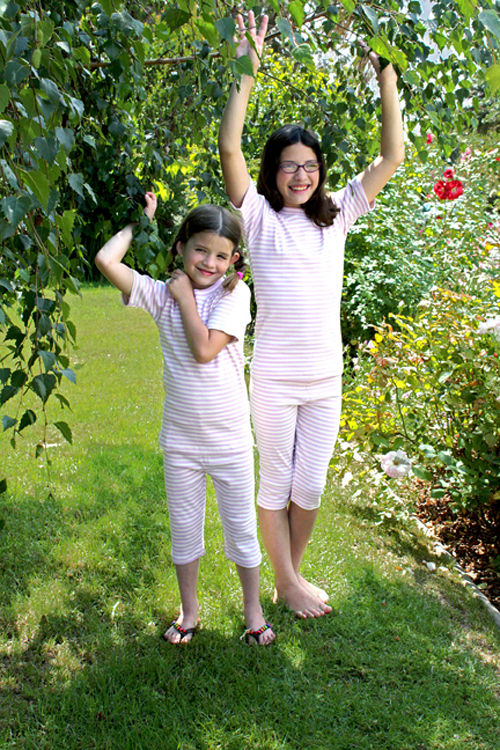 “Mom” is also in love with their Organic Pajamas, available in a “long johns” version for the Fall or Winter, and a short-sleeved summer version – all in muted striped colors and made with super-soft organic cotton for extra snuggles and cuddles! 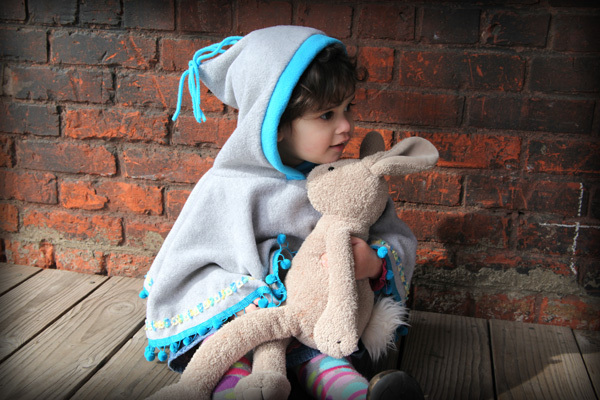 Keep your little one toasty and warm this Fall with the gorgeous, handmade Peri Poncho, now made with EcoFleece! These stylish little capes are made entirely from 2-liter plastic pop bottles. Each handmade poncho is finished with colorful rococo flower trim, or ric rac, pom poms, and a tassle at the top of the hood. They are too, too cute and again, extremely easy to get on and off your child! Simply pull over the head – no sleeves at all! 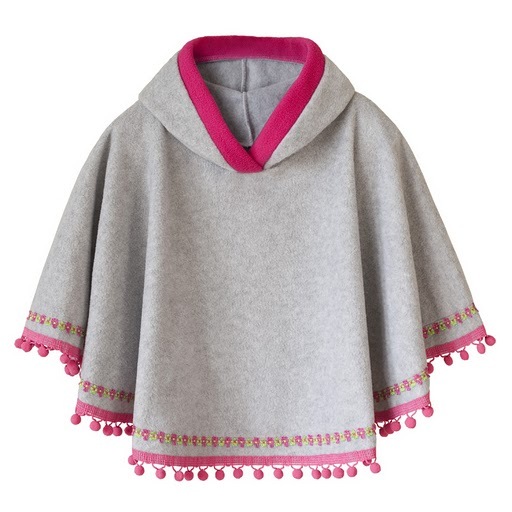 “Mom” can’t get over just how adorable these capes are – they are available in sizes XS (6-12 months) up to XL (8-10 years). The question is, will the designer be making an adult version anytime soon? “Mom” was recently introduced to Garden Kids, which offers gorgeous & sustainable organic clothing for children that has stayed true to their values and beliefs since the company’s birth in 1994 – before “green” was as widespread as it is now! A brief interview with founder, Paula Haddad, gives us insight into what has made her company a long-standing member of the sustainable community. 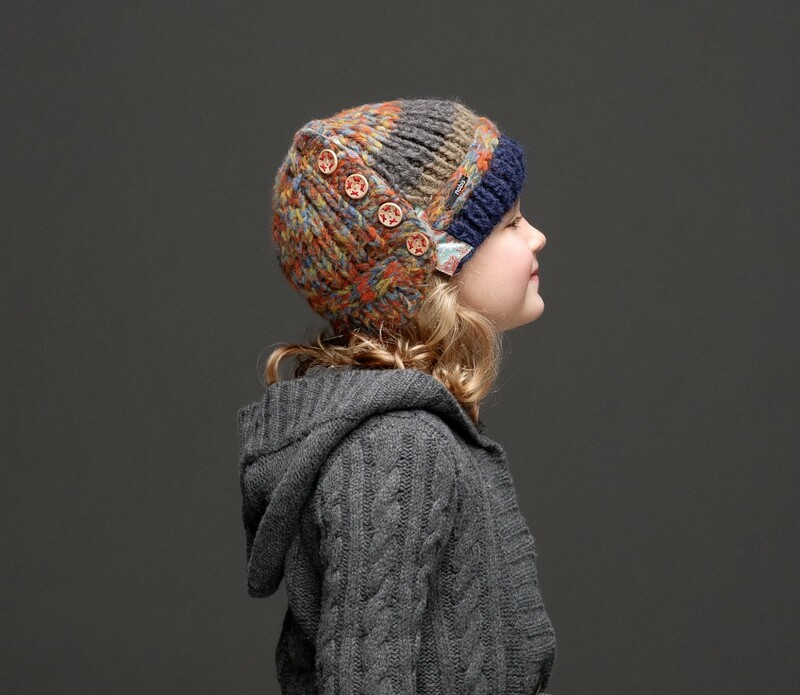 Garden Kids is an honest-to-goodness handmade organic children’s apparel company. We have been in business for 17 years making super cute organic clothing that’s fun to wear, soft & comfortable. Our clothing line includes t-shirts, shorts, skirts, dresses, pants, and jumpers, but we’re probably best known for our organic cotton pajamas. Our fabrics are sourced from U.S. suppliers almost exclusively, with our 50% hemp corduroy being the only imported fabric we use. The clothes are sewn by Norma, our wonderful seamstress who lives in Oregon. Our ongoing relationship with her is a big part of what makes Garden Kids successful. My hard-working mother taught me about healthy eating and organic foods long ago. I continue that same commitment in my own family, especially since my son was born with serious food allergies. My husband and I shop organic almost exclusively and we visit the local farmer’s market as often as our schedule allows. We love our native garden, which brings a lot of wildlife to our home – our neighbors enjoy it too. We avoid all products that use synthetic fragrances and we advise our patiently indulgent family and friends to do the same. A perfect, creamy latte made with fair trade coffee! We cannot emphasize enough how important it is to buy fair trade. Small coffee farmers worldwide are suffering terrible financial hardship, in contrast to the brokers. Starbucks is not their friend. Try and stay focused on what you do best, though this can sometimes be difficult. Being in a green business exposes you to a hopeful and positive segment of society; people who have decided they want to make a difference. You’ll find inspiration in your customers, competitors and suppliers. Be prepared to educate and inform – the average consumer is still coming around to the idea of organic and sustainable. 2. To prepare streusel, combine first 5 ingredients in a small bowlwith a fork until mixture resembles small peas. 3. 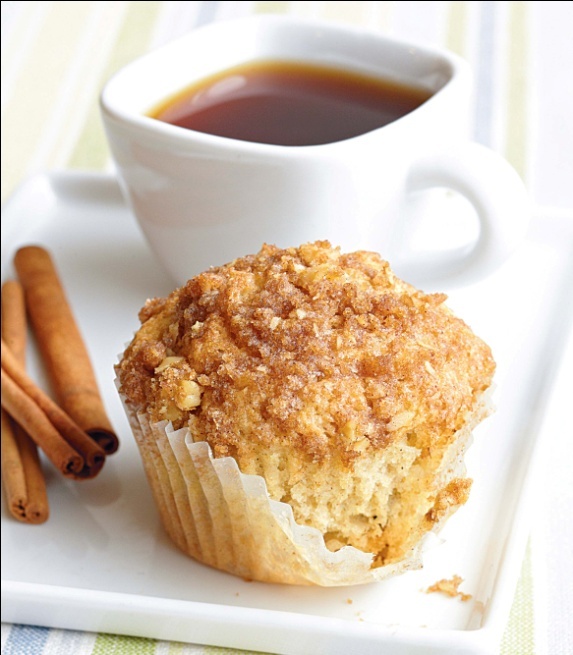 To prepare muffins, place 18 paper muffin cup liners in muffin cups.Coat liners with cooking spray; set aside. 4. Weigh or lightly spoon brown rice flour, potato starch, and tapioca flour into dry measuring cups; level with a knife. Combine brown rice flour, potato starch, tapioca flour, granulated sugar, and next 4 ingredients in a large bowl, stirring with a whisk. Stir in raisins and walnuts; make a well in center of mixture. Combine oil, vanilla, and eggs in a medium bowl, stirring with a whisk. Stir in soy milk; add to rice flour mixture, stirring just until moist. Spoon batter evenly into prepared muffin cups. Sprinkle batter evenly with streusel topping. 5. Bake at 400° for 20 minutes or until muffins are lightly browned and spring back when touched lightly in center. Cool in pans 5 minutes on a wire rack. Serve warm. Yield: 18 servings (serving size: 1 muffin). What is bedtime like in your house? Does your child go to bed calmly and agreeably? Or is every night a prolonged battle of the wills? Kids come up with endlessly inventive reasons why they shouldn’t go to bed. Some turn on the charm; others turn on the tears. Either way, how do you put an end to your little procrastinator’s delaying tactics? According to experts, the best way to break the cycle is to create a reassuring nightly routine. When it comes to getting kids to go to sleep willingly, nothing is more powerful than simple bedtime rituals. Children love rituals and routines. They thrive on the consistency and security that comes from knowing what to expect. In addition, having family rituals gives kids a sense of identity and belonging. Bedtime routines also serve a practical purpose: they calm busy little minds and bodies, so kids can let go of the day’s events and gradually surrender to sleep. Many children experience separation anxiety at night. Between school, work, and other activities, a child may not feel like she’s getting enough of mom or dad’s attention. When parents participate in their children’s bedtime rituals, kids can look forward to some nightly one-on-one time. ◦ First, identify a specific bedtime-and stick to it. If you repeatedly make exceptions, the importance of bedtime loses its meaning. Bend the rules only very rarely and on special occasions. ◦ According to experts, bedtime rituals should last from 15-30 minutes. Count regular hygiene activities (brushing teeth, putting on pajamas) as part of the sequence. ◦ Make sure your child follows the sequence every night, or it will lose its power. Kids love knowing and following a routine. Some even enjoy posting their schedule on the wall. ◦ Incorporate story time into your rituals. Just make sure the plots aren’t too exciting or scary-the goal is to relax, not stimulate. This is precious bonding time (and educational, too!). ◦ A pre-bedtime bath can be very beneficial. Warm bath water relaxes the body, while quiet bath play can calm restless minds. ◦ If your child has trouble falling asleep, you might try using relaxation or breathing exercises. Many children respond well to step-by-step techniques: “relax your toes, now your feet, now your legs”. 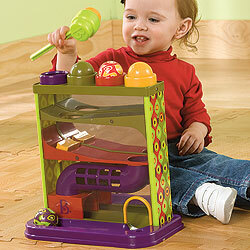 ◦ Soothe your child’s senses with aromatherapy, a gentle sound machine, or a calming light show. ◦ Build in some time for quiet conversation. Focus on happy topics, such as an upcoming outing or fanciful ideas (“when I grow up”). This is not the time to talk about tomorrow’s test or a vexing problem. ◦ Give your child an action plan for after you leave the room. You can suggest she plan to hug a beloved stuffed animal or sing a favorite song in her head. ◦Plan how you’ll respond if your child keeps popping out of bed. Your child’s goal is to prolong any interaction as long as possible. Your goal is to limit it. Be kind but firm, and get your child right back into bed. Make your child’s bedtime ritual relaxing and enjoyable, and you can kiss bedtime battles goodbye. There’s another bonus, too: according to experts; going to bed at the same time every night trains the body to get tired at that time. So the more you practice your child’s bedtime ritual, the easier it will become!